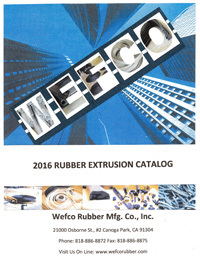 Wefco Rubber Manufacturing Co., Inc. was established over 60 years ago to fill a niche in the industrial rubber business. This niche is the short run, quick turn around environment so necessary in today's business world. Wefco Rubber Mfg. Co., Inc. is proud to announce that we now offer custom color matching for all of our extrusion profiles.